With his tried-and-true instincts, infectious enthusiasm, and deep love for the sea, Capt. Aldo “Lora” Vasquez is a true fisherman in every sense of the word. Born in the oceanside town of Punta Mita, Mexico, he hails from a long line of accomplished anglers. Fully licensed and highly regarded among his peers, Lora’s love of chasing trophy fish is seemingly limitless. It doesn’t matter if he’s casting for roosterfish near the craggy shoreline or chasing monster yellowfin tuna and marlin offshore, Lora treats every day on the water like an adventure waiting to unfold. From slow-trolling skipjack or kite fishing with goggle-eyes to casting poppers or vertical jigging...Capt. Lora has the skills and equipment to satisfy any anglers needs. Punta Mita is home to some of the world’s most explosive inshore fishing action. 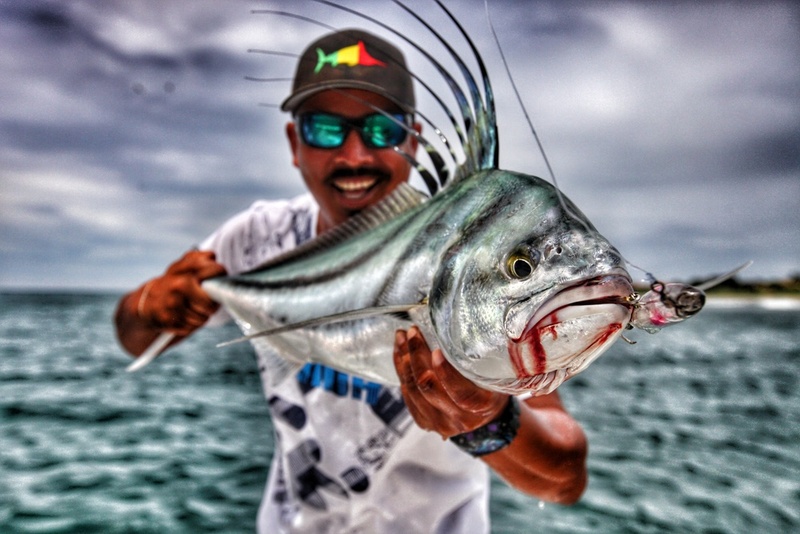 Aggressive predators such as Cubera Snapper and Roosterfish readily attack poppers and stickbaits cast along the many sandy beaches and rocky coastlines. Fishing live baits in combination with this top water technique is also deadly in attracting explosive visual strikes. The avid top water angler should arrive with at least a half-dozen surface plugs. World class offshore action is often to be enjoyed when fishing Corbetania and El banco. Monster Black and Blue Marlin, schools of Dorado, Sailfish and giant Yellowfin Tuna, feast in these bait-rich water of the Eastern Pacific.Punta Mita is a top angling destinations for giant Yellowfin Tuna — 200 to 300-pounders and larger. At Fortuna Sportfishing we specialize in catching Yellowfin Tuna on poppers although most of the big ones are caught on live bait.